Presented to an individual or family with a proven record of exceptional generosity to a variety of philanthropic causes and who, through direct financial support, has demonstrated outstanding civic and charitable responsibility and encourages others to take philanthropic leadership roles in the community. Philanthropic Corporation of the Year: Skanska USA Building, Inc. Presented to a corporation or corporate foundation that has demonstrated outstanding commitment through financial support and volunteerism, encourages and motivates others to take philanthropic leadership roles in the community. Presented to an individual who has demonstrated exceptional leadership skills in coordinating groups of volunteers for major fundraising projects. The recipient should demonstrate exceptional skills coordinating and motivating groups of volunteers for fundraising projects for the benefit of charitable institutions and a commitment to the advancement of philanthropy. 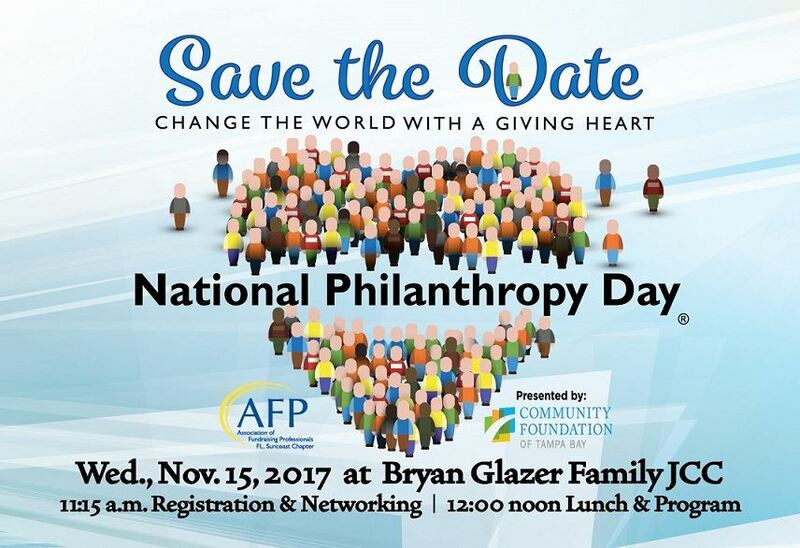 Presented to an individual, group or family that has recognized a charitable need and developed a unique approach to advancing philanthropy in the community. The award recipient will exemplify the spirit of giving above and beyond. Presented to a business w/100 employees or less that has demonstrated outstanding commitment through financial support and volunteerism encourages and motivates others to take philanthropic leadership roles in the community. Presented to a service organization that has demonstrated outstanding commitment to volunteerism for the benefit of charitable institutions and a commitment to the advancement of philanthropy. Presented to an individual or youth organization (18 years old and younger) that has demonstrated outstanding commitment to volunteerism and fundraising for the benefit of charitable institutions.